These performance pieces are recent public manifestations and interventions about aetheticizing protest and moving between intimate and private spaces and also public spectacles. Both are recent projects where I cross communities and public space and share my beliefs and experiences, planting seeds for possible dialogue and transformation of self and community. This work is focused on consciousness-raising in new audiences and getting off the stage and outside the gallery and into the streets. “The bumpin bici” is a performance intervention with a movement music mobile and a battery powered sound system on a bike basket that allows me to ride and rhyme sharing my worldview and experiences through a mobile platform, thereby creating spaces for interaction and exchange in the public domain. My character “Raramujer” is a urban indigenous women who shares oral history and urban indigenous worldviews across Los Angeles. 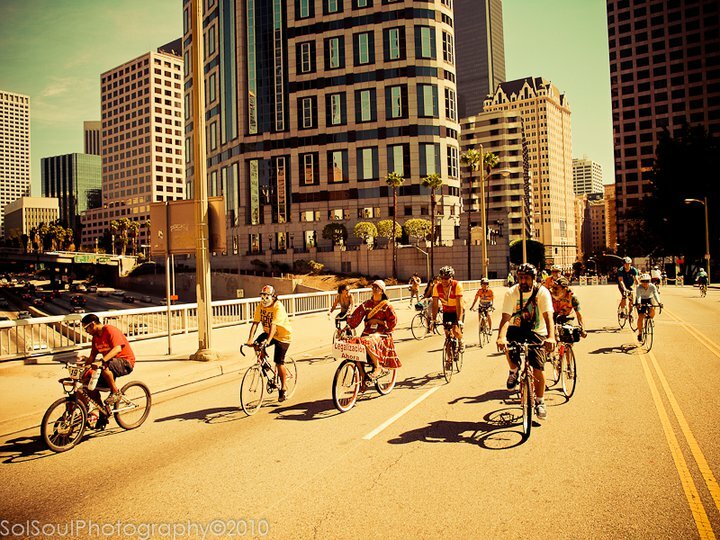 She is a Xicana Super Hero of sorts who rides a bike through Los Angeles streets using her voice as a tool for education, empowerment, and transformation as well as other ceremonial happenings. 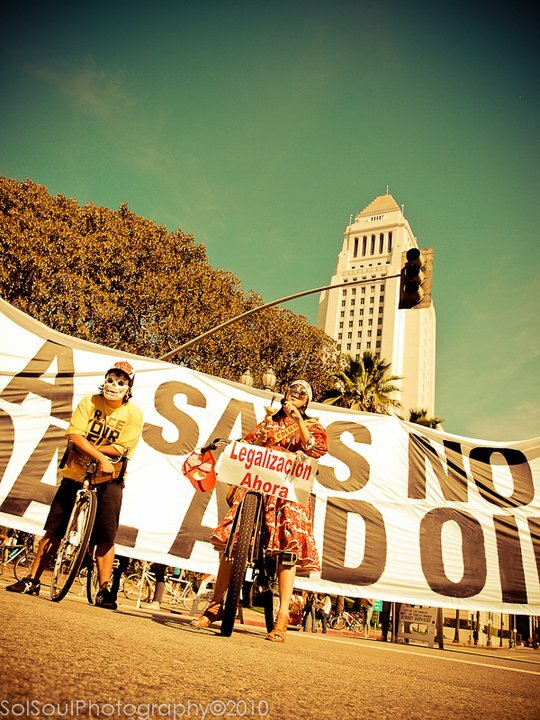 With “Raramujer” I am a performance protestor both part of and marching or riding against oppression. 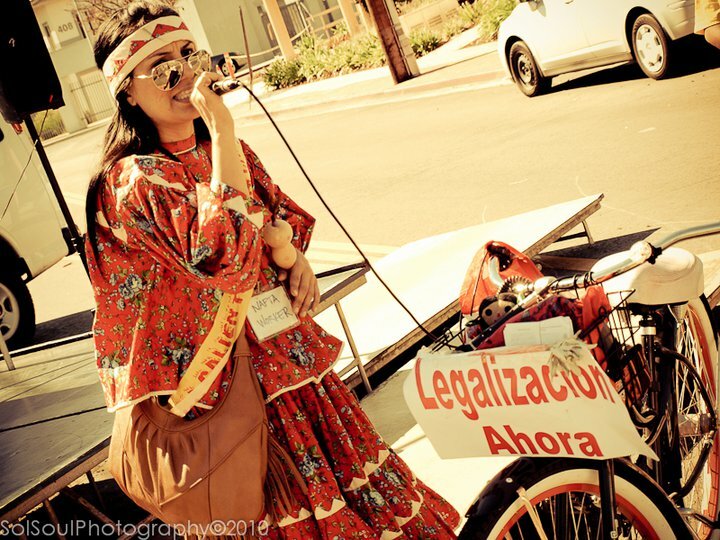 I am a messenger of politics and peace by re-appropriating public space in marches and community corners and streets where I ride a bike, play music, and share some of my own Xicana feminist political, spiritual and cultural poetry and floetry/hip hop. 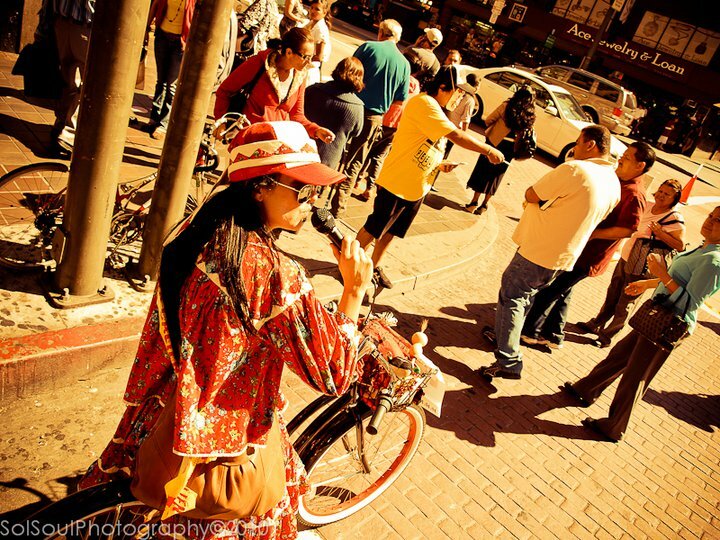 I ride along festivals and marches and sidewalks and street corners becoming both part of the events and urban setting as a performance and also making my life as a Xicana protestor and performing artist my art. 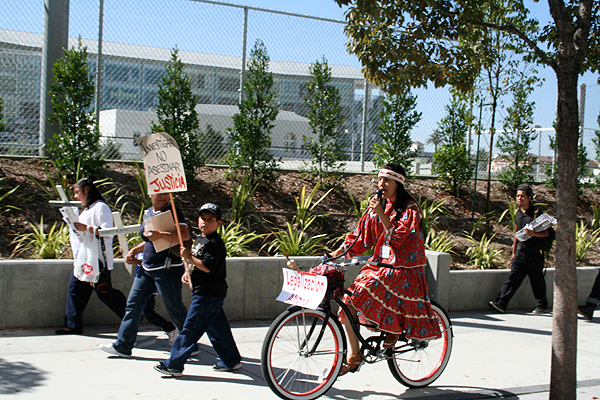 I share much of my indigenous traditions and songs thereby creating public ritual and performance prayers in the streets.